When you look at your search engine marketing reviews, are you excited or is it a monthly task you dread? Are numbers falling off? Are conversions plummeting? Is core audience bouncing off the site? No new leads? These are issues many businesses face when it comes to their SEM. Did you know that a lot of your SEM problems could be starting right on your website itself? If your website isn’t up to par, then all of the money you’re pouring into your SEM to dominate the competition is just being wasted. SEM needs a strong foundation to build on. Driving traffic to a page people can’t use, isn’t going to grow your business. If these worries and issues are plaguing your business, then it might be time to look at your website and figure out if it’s just full of untapped potential or if it’s already been laid to rest and needs a miracle to revitalize it. Below is the checklist we use when we are taking over a site, or starting a new SEM plan for a client. While this isn’t a full list, it is six points you can look at to see if your issue might stem from a poor website. Use headings to make key words stand out, and let people know what a site is about. Use bullet points so people can scan. 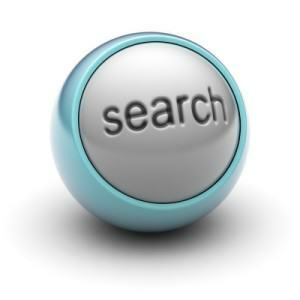 Add search to your site if there is a lot of content that needs to be covered, and make sure it works very well. Make your navigation the best it can be, and accept sometimes simple is better. And please, please, don’t use miniscule font sizes. Does it shift and fit the device or do you need to scroll every which way and zoom in and out to make it fit? Are the words too small or too big to easily and comfortably read? Graphics should resize and not over run the page or become too hard to make out on the page. Does it load in a decent amount of time, or do you wait for ages for it to show up? You got people to your website. Now that they are there, are you giving them what they want? 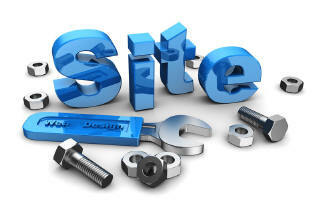 Is your site easy to navigate and can visitors find the key points people are looking for? Can you trim your copy and images down to better help people find the key points? Your website should be a showcase for your business and what it offers. Many times websites come across as more of a personal shrine to the owner, highlighting them and what they think is important. Make sure that your focus is on the things your customers want and not yourself. At the end of the day you should be aiming to please your customers, not yourself. Do you make it easy for your site’s users to share your content? Social media is way people will spread your name and your product or service to all their family and friends. If it is easy for them to do, then happy customers will be happy to share. People also like to see and read what others are saying about you. Happy people can sell your product better than any pitch. Have you tried getting photos of happy customers using your product? Or interacting with your team as they receive your service? You would be amazed what an impact this can have in getting your name out there. Subtle and sly does not always work on the Internet. Being loud, and obvious does. Do you want phone calls? Then your phone number should be big, bold and easy to find. Are you wanting people to submit quotes from your website? If so, then a form should be easy to find, and be shown often to get them to fill it out. I left this one for last because it’s quickly becoming a bigger issue. As devices get smaller, and people use mobile Internet more and more, time becomes a factor. Couple that with the fact that attention spans are not what they used to be; people are wanting more things now rather than five seconds from now. It has been shown in study after study that if a website does not load in three seconds or less, you run the risk of losing someone. So if your website isn’t fast, when your SEM efforts push a person to your site, you might just have paid for them to look at a white screen and leave your site before they even saw what you have to offer. SEM can help grow your business. But if you’re not launching your SEM programs from a strong foundation, they will fall flat before they ever have a chance to take off. Take a serious look at your website and it’s design and you might find why you feel like you’re wasting money on your SEM.